Laser Kitty Pow Pow for Android/iOS (iPhone/iPad). Laser Kitty Pow Pow Tip #1: Yoyo Attack. Yoyo or Bounce Back Attack is a good attack while avoiding being attack at the opposite direction. To execute this type of attack, you need to hit your specific target by tapping the area on which the enemy is. You will be automatically push back when you tap at either left or right. If you tap at the left area, you will be push back and go to the right area, vice versa if you the at the right area. When you are push back, you will be vulnerable to the enemies that can attack you after the push back. You need to quickly tap at the opposite area to move away from enemies at the back. It is much safer to do that because you can see clearly on how many enemies on the front rather than on your back. Laser Kitty Pow Pow Tip #2: Stay at the Center. You will be killed when an enemy hits you successfully. You can also be killed when the enemy successfully jump and attack the heart found at the center of the battlefield. That forces you to defend the center area by killing the enemies who are near at the center area. Yoyo Attack is very effective to defend the center area, just do a single tap amount when firing a laser to the enemy while doubling the tap to the opposite direction for counter push back. Laser Kitty Pow Pow Tip #3: Watch Ads to Revive. When you play a single level, it requires 1 energy cost of your chosen cat. Each cat has a maximum of two energy capacity but you they can replenish energy for 30 minutes. It is important to collect many cats as you can for you to be able to play with powerful cats for difficult levels. However difficult levels are sometimes tricky and they can kill you unexpectedly. Fortunately, you can revive your cat for a one time only by either paying it with 400 gold or watching a video ad. 400 gold is expensive regardless if you are going to kill a boss, watching a video ad is much better. 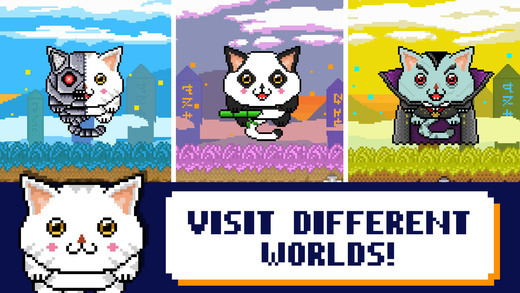 Watching a video ad will revive your cat with a chance to beat a level specially a boss level.